Bullion Exchanges offers you Price Match Guarantee on all bullion products! 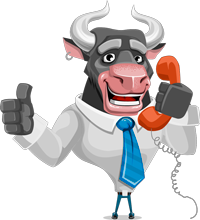 At BullionExchanges.com you can be confident that you’re getting the product you want at a competitive price. If you find a current lower price on another authorized dealer's web stores, we will adjust your payment to the lower price upon request. Please notice that the product must be eligible for price matching and not shown on our exclusion list. It also must be identical to the competitor’s product by the brand name, size, weight, color, and quantity. Please verify if your product is eligible for price matching with more detailed information below. You’ve found a lower price offer for the same bullion item on another authorized web store? We are glad to match or beat the price! APMEX, JM Bullion, Provident Metals, SD Bullion, Money Metals, MCM, GovMint, and PinehurstCoins. Price Match Guarantee requests are accepted only for bullion products that are currently in stock, priced in US Dollars, and ready to be immediately shipped from us and our competitor’s web store. The Price Match is evaluated based on identical products after the cost of fees. The product being matched must cost less at an authorized national bullion dealer after the cost of shipping or any other fees. The Price Match Guarantee can be redeemed only for gold, silver, platinum or palladium bullion orders that are higher than $300 USD. You can apply for Price Match Guarantee only during the active trading hours of Bullion Exchanges: Monday through Friday from 9:00 AM to 5:00 PM EST (excluding weekends and holidays). Unfortunately, some items are excluded from the Price Match policy. Therefore, any submitted requests upon these products cannot be fulfilled. Contact us at 800.852.6884 and our expert team will perform all the necessary checks on price matching to provide you the best shopping experience here, at Bullion Exchanges. 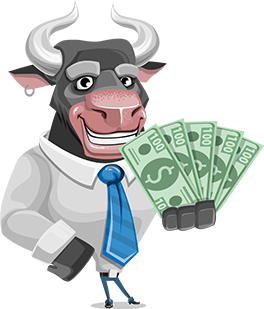 If due to certain circumstances or unlikely events we aren’t able to beat or match the competitor’s price, you will receive a BONUS of 5,000 Bullionaire Bucks for your next purchase. Note: We reserve the right to not honor, at our discretion, certain Price Match Guarantee requests, including, but not limited to advertising errors, special prices, limited offers, promotional coupons, clearances, etc.